This week is the Amish Bars Quilt day camp. Since I get to be a student in this day camp, I thought I’d document each day. I changed up the fabric selections that I had posted a few weeks ago. I finally decided who the quilt was for and that helped to finalize it. Some friends recently had their second baby boy down in Austin, Texas. 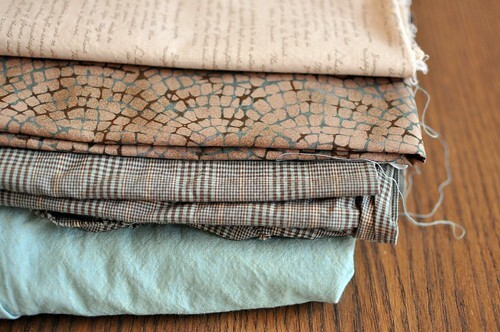 I’ve chosen to make them this quilt in an aqua blue/brown/cream palette. We put together our quilt tops today. 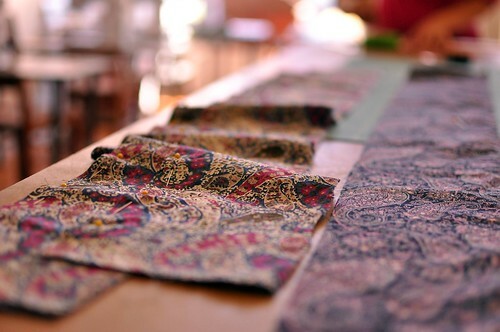 I can’t wait to show you all the wonderful fabric choices that everyone made. Tomorrow we’ll be getting the quilt back ready and basting the top, batting and backing fabric together. The goal is completed quilts for Friday! I’m so jealous right now. 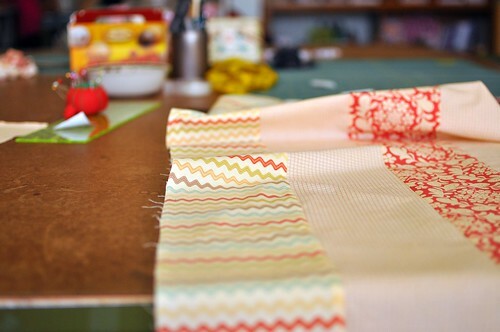 Wish I were there quilting! Wow this looks awesome! Next time I will join! Is there an option for people that work 9-5 jobs? this looks like a blast…also, I’m jealous of the gorgeous natural lighting inside your shop!